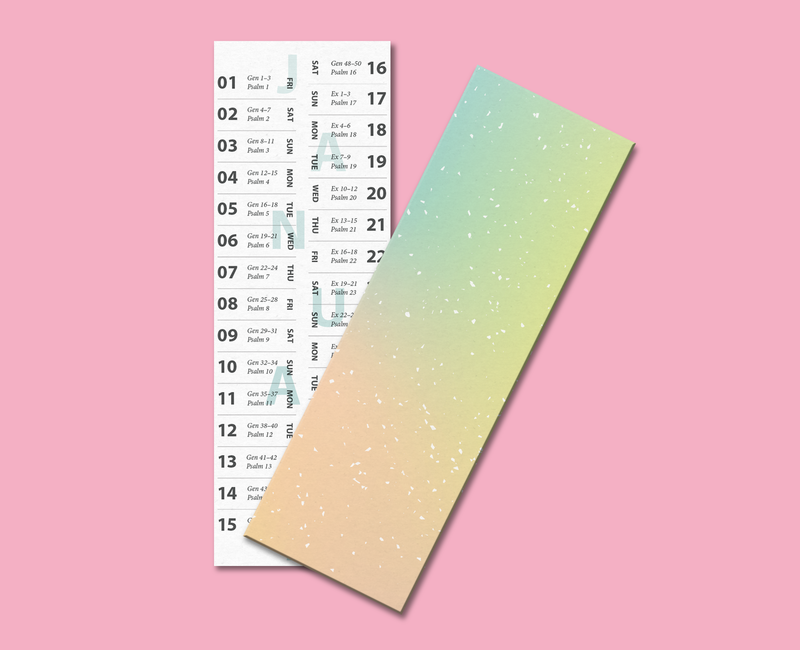 A calendar for a bible reading plan for those who want to complete the bible in one year. 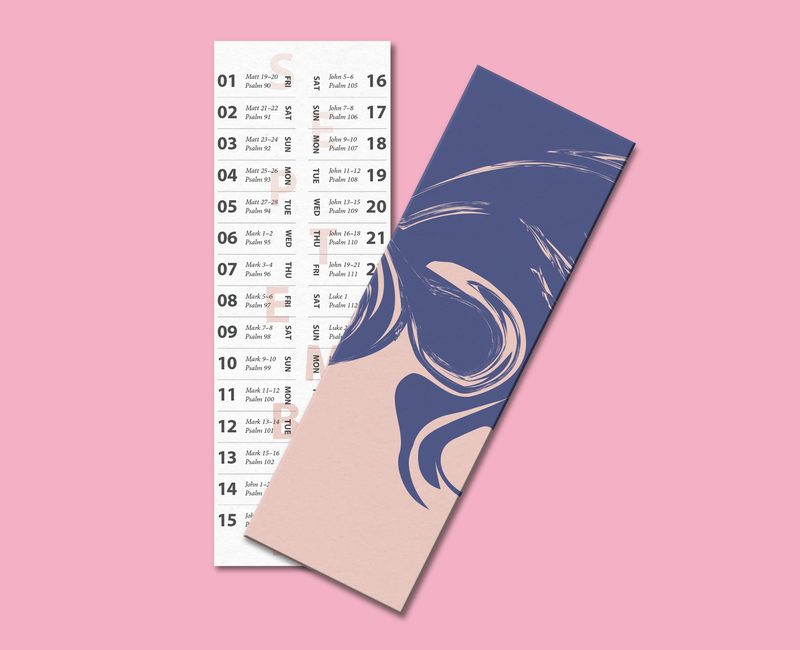 Each month has a decorative back that represents a common theme from within the scripture. 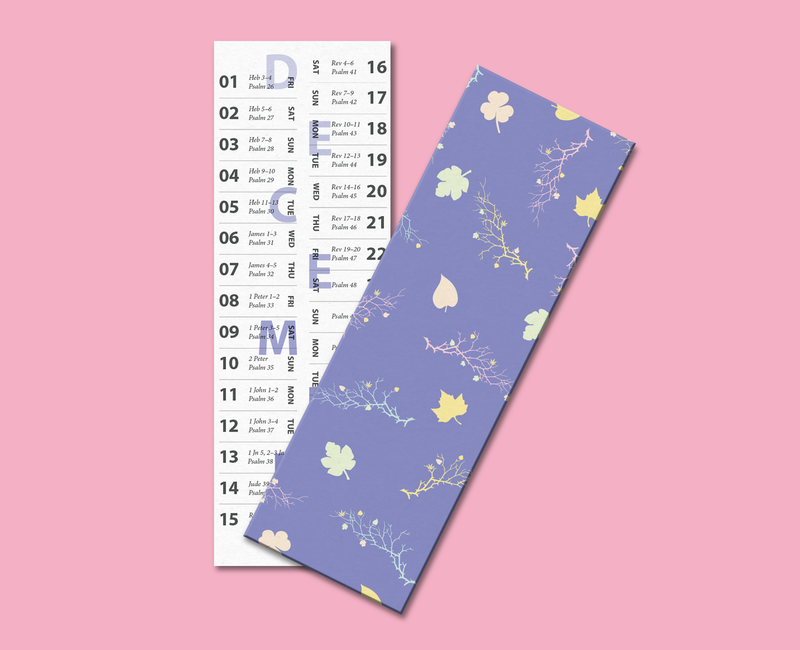 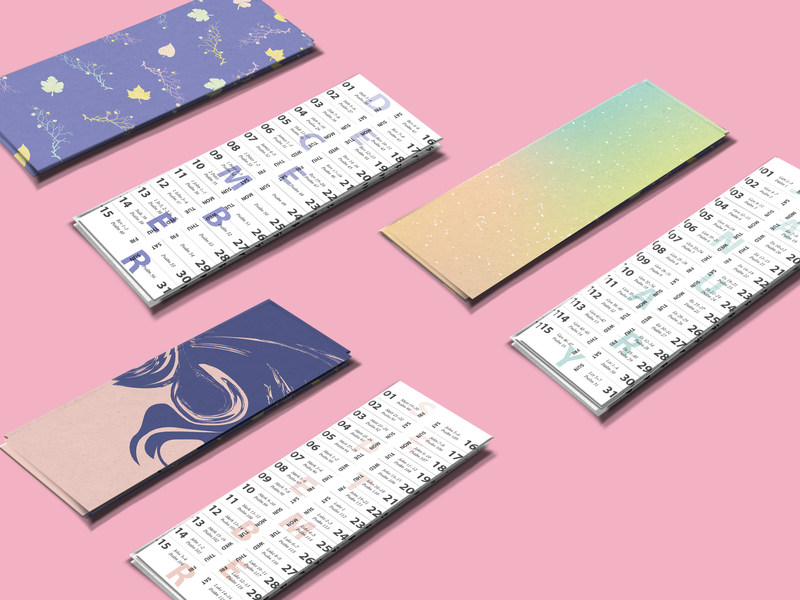 The calendar can also be used as a bookmark to keep inside the bible, and is divded by month.